Is the Federal Department of Justice Discriminating Against the Ex-Gay Community? On May 21, 2013 a whistleblower at the Federal Department of Justice released a copy of a gay-affirming training manual, forcing all DOJ employees to embrace, support, and “be positive” towards all lesbian, gay, bisexual, and transgendered (LGBT) employees at the DOJ. The official statement put out by the DOJ is that the LGBT training manual will aid in the “effective management” of the department and that it will “ensure that advancement, development, and mentoring opportunities are fair and effective” to all LGBT employees at the DOJ. According to a press release from this week, the whistle-blower contacted Liberty Counsel (LC) to complain of the DOJ’s policies’ infringing upon their rights. 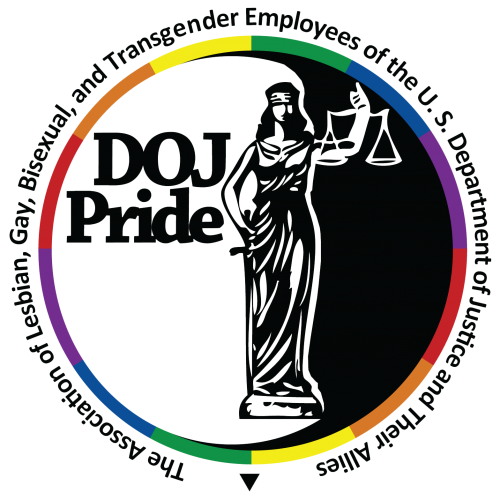 In a phone interview with Voice of the Voiceless, LC’s Matt Barber commented: “Whistle blowers within the Department of Justice provided LC a document – a brochure – that was developed by ‘DOJ Pride’, which is a division within the DOJ that ‘works within the Department of Justice to identify and address key areas affecting its LGBT employees.’ This document was sent to all managers throughout the DOJ and it lists a series of do’s and don’t’s for managers in dealing with employees” that are LGBT. Barber describes the brochure as “chilling” when it comes to an employee’s free speech to disagree with homosexual behavior. One has to wonder, with all of this love for diversity, is advancement, development, and mentoring opportunities being effectively administered to DOJ’s ex-gay employees as well, or are former homosexuals being forced to stay in the closet due to fear of discrimination? When Voice of the Voiceless contacted John Elias, the Secretary for the Association of Lesbian, Gay, Bisexual, and Transgender Employees of the U.S. Department of Justice and Their Allies and asked him this question, he said “no comment” and hung up on our staff. Interestingly, the DOJ manual states that silence towards the LGBT community will be interpreted as disapproval. Does being hung up on and/or refusing to comment constitute silence? In the past three days, our office has left dozens of messages for every single person listed on the DOJ Pride staff, and we have yet to receive a comment from them on their policies for ex-gays. We have to assume then, based on their own diversity manual, that the DOJ is now discriminating against members of the ex-gay community. This is especially troubling considering that ex-gays are now considered a protected class in Washington, D.C., where the DOJ is located. In the case of PFOX v. Government of the District of Columbia Office of Human Rights, No. 08–003662, slip. op. at *5-6 (D.C. Super. Ct. June 26, 2009), the District of Columbia Superior Court ordered the Washington D.C. Office of Human Rights to recognize former homosexuals as a protected class for sexual orientation nondiscrimination purposes. While the DOJ has refused to comment about their policies for former homosexuals, it appears that ex-gay-phobia is alive and well in the federal government! As far as the hypocrites at “The Association of Lesbian, Gay, Bisexual, and Transgender Employees” at the DOJ, they proclaim: “welcome and include all employees,” but their conduct toward ex-gays has thus far been anything but welcoming and inclusive. This entry was posted in Uncategorized and tagged Anti-Ex-Gay Activists, DOJ, DOJ Pride, Ex-Gay Phobia, LGBT on 2013-05-23 by VoV Contributor.